The University of Birmingham is a world leading higher education institution, both nationally and internationally, that offers high-standard teaching and research in most major disciplines. It has extensive experience of EU collaboration and partnerships and in-depth expertise of Framework Programme matters including management, reporting and auditing, with a dedicated office providing support for EU funded activity. As of January 2013 the University has been involved in over 200 FP7 projects (including projects in negotiation) across the whole Framework Programme. The Third Sector Research Centre (TSRC) is the major UK Research Centre for work on the voluntary sector. It received core funding from ESRC, the Barrow Cadbury Trust and the Cabinet Office from 2008-2014. It is based at the University of Birmingham, in the School of Social Policy, which includes Social Policy and Social Work, and the Health Management Centre. The School has particular strengths in third sector research, health and social care, social security and social exclusion, children and families, and race and diversity. Main responsibility: Analysis of third sector impact of the third sector; refining conceptualization and measurement of major third sector dimensions. Additional responsibility: Writing of final reports; dissemination. 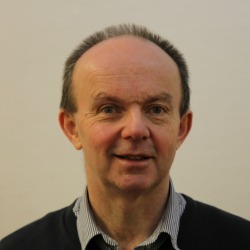 John Mohan joined the University of Birmingham in September 2013, where he is Professor of Social Policy and Deputy Director of the Third Sector Research Centre (TSRC) at the University of Birmingham. He has led the development of major databases on voluntary organisations for the UK - e.g. a panel dataset containing 20 years’ observations from the Charity commission for England and Wales, and the first comparative analysis of charities in Scotland, England and Wales. He has conducted extensive work on volunteering – notably a UK analysis of the idea of the „civic core“, and of the relationship between social capital and volunteering. He also directs a programme of work on charity and social redistribution, funded by the Centre for Charitable Giving and Philanthropy. Clifford, D, Geyne Rajme, F, and Mohan, J. (2013) Variations between organisations and localities in government funding of third sector activity: Evidence from the National Survey of Third Sector Organisations in England. In: Urban Studies, 50(5), 959-976. Mohan, J. (2012) Geographical foundations of the Big Society. In: Environment and Planning A, 44(5), 1121-1129. McCulloch, A., Mohan, J., and Smith, P. (2012) Patterns of social capital, voluntary activity, and area deprivation in England. In: Environment and Planning A, 44(5), 1130-1147. Mohan, J. (2012) Entering the lists: what can we learn about the voluntary sector in England from listings produced by local infrastructure bodies? In: Voluntary Sector Review, 3(2), 197-215. Third Sector Research Centre The Third Sector Research Centre (TSRC) aims to enhance our knowledge of the sector through independent and critical research, giving us a better understanding of the value of the sector and how this can be maximised. We work closely with practitioners, policy makers, and other academics to gain input into our research and explore its findings. We had core funding from the Economic and Social Research Council (ESRC), Barrow Cadbury Trust and the Cabinet Office, 2008-2014, and are seeking to continue in operation with funding from a range of sources. www.tsrc.ac.uk Role: Deputy Director, with specific responsibilities for overseeing TSRC’s work on data resource construction and analyses of quantitative data. Continuity and Change in Volunteering (1981-2013) The ‘Continuity and Change in Volunteering’ is a mixed-methods research project which explores individual attitudes and behaviours towards volunteering, and individual views on the role and responsibility of the state towards provision for social need, across a period of thirty years. The timeframe (1981-2012) encompasses two periods of austerity, and a period of relative prosperity, thus providing economic and social policy context to our understanding of voluntarism during this period, and uncovering dynamics that may be pertinent to understanding volunteering into the future. http://longitudinalvolunteering.wordpress.com/ Role: Coinvestigator – responsible for analysis of quantitative data and for analyses of trends in policy towards the voluntary sector over this period. Daiga Kamerade has a PhD in Social and Political Sciences from the University of Cambridge. She is a Research Fellow at Third Sector Research Centre, University of Birmingham, UK. She has been teaching at various universities in the UK and abroad for more than fifteen years. The focus for her research interest is third sector work force, volunteering and the effects of volunteering on employability. Daiga has strong quantitative skills and extensive experience of using large and complex data sets. 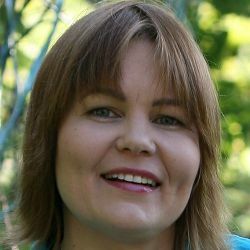 In 2013 she received the Campbell Adamson Memorial Prize for the Best Research Paper from the National Council of Voluntary Associations and the Voluntary Sector Research Network in the UK. For TSI she is working on third sector impact. Kamerāde, D., McKay, S. (2014). Is There a Subjective Well-being Premium in Voluntary Sector Employment in the UK, Voluntas: International Journal of Voluntary and Nonprofit Organizations, Online First. Kamerāde, D., Ellis Paine, A. (2014). Volunteering and employability: implications for policy and practice, Voluntary Sector Review, 5(2), 259-273 Kamerāde, D. (2009) Part-time work and involvement in voluntary associations in Britain, Sociological Research Online, 14 (5). Kamerāde, D., Burchell, B. (2004) Teleworking and Participatory Capital: Is Teleworking an Isolating or a Community Friendly Form of Work? European Sociological Review, 20 (4), 365-387.